The American century opened with the election of that quintessentially American adventurer, Theodore Roosevelt. 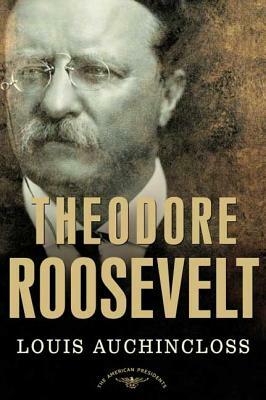 Louis Auchincloss's warm and knowing biography introduces us to the man behind the many myths of Theodore Roosevelt. From his early involvement in the politics of New York City and then New York State, we trace his celebrated military career and finally his ascent to the national political stage. Caricatured through history as the "bull moose," Roosevelt was in fact a man of extraordinary discipline whose refined and literate tastes actually helped spawn his fascination with the rough-and-ready worlds of war and wilderness. Bringing all his novelist's skills to the task, Auchincloss briskly recounts the significant contributions of Roosevelt's career and administration. This biography is as thorough as it is readable, as clear-eyed as it is touching and personal.